Differentiated instruction – teaching tailored to students’ different learning styles and levels – is an educational concept that has been around for decades. It is a concept that’s embraced by most schools in theory – and varying degrees of practice. Because it is essential for gifted children to have a program designed to address their individual characteristics, needs, abilities, and interests, differentiating curriculum so that each child is appropriately challenged is at the core of Seabury School’s mission. Learn more about differentiated instruction at Seabury in this Q&A with Head of School Sandi Wollum. How do you define differentiated instruction? I would say it goes back to the fundamental philosophy that every child gets to learn something new at school every day. Giving every child equal access to education means you need to do different things for different children. Not always. Some systems in schools are set up to say that every kid should hit the same academic milestones in same way at the same time. We don’t expect children to hit growth charts like that. We don’t expect their T-ball skills to develop like that. Why do we expect their reading or math or other academic skills to develop like that? How do we ensure differentiation happens at Seabury? At Seabury, we have small classes and highly trained teachers in order to be able to appropriately challenge every single child, every single day. Most gifted kids are not equally gifted in every area. They have strengths and weaknesses like everyone else. Although our classes are small, the range of needs is extremely wide. What might that look like in one of our classes? In a first grade class, we might find students whose reading hasn’t really clicked yet, where they’re still struggling to sound out words, but who also have highly advanced comprehension skills when they hear a story read. Other children might be reading chapter books meant for fifth or sixth graders, and yet only have five or six years of life experience so while they “understand” what they are reading, they don’t comprehend like an older student would. It makes the range of abilities in any class wide. And they’re all still gifted. How does a teacher address this? 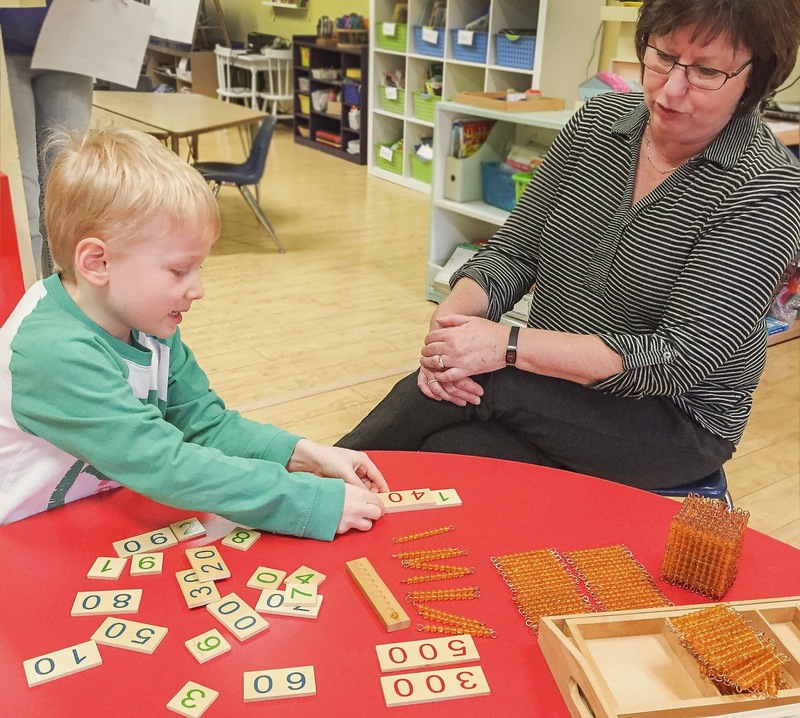 What it means in a first-grade reading class is that kids who are not decoding well need to be stretched in decoding, while still being offered materials that allow them continue to stretch their already high level of comprehension. 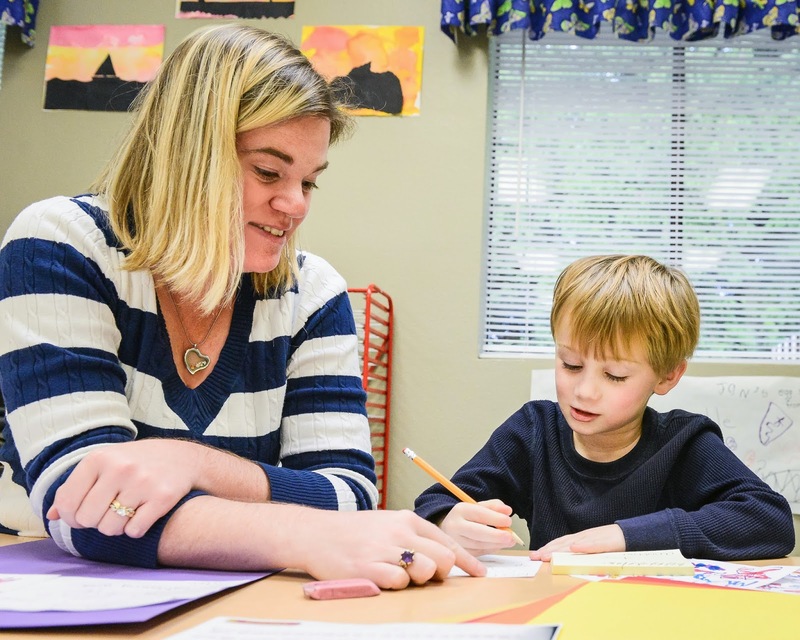 With the early readers, Seabury teachers know that they usually start reading spontaneously without relying on phonics, so the teachers work with them to notice things like patterns that they haven’t been exposed to. They don’t need phonics to be able to sound out words, but understanding word patterns will help with spelling and vocabulary development. How can this apply in math? You might have kids who are gifted in one facet of math because they have had some previous exposure to it and learned it quickly. But in other areas, they may have had little or no exposure and be totally new to the concept being taught. Teachers need to be able to assess what kids have mastered already and skip that material in order to spend time on concepts they haven’t yet mastered. They need to sort out whether kids really understand concepts, or have just memorized a series of steps for solving a problem. And they need to adjust the pace of instruction to match the child’s learning. Gifted kids need fewer repetitions to master new material, so teachers need to be keen observers and able to adjust the pace of instruction as needed. How do our teachers find out what children know? We do a lot of pre-testing and post-testing, and assessments all year long. Our teachers have to know our students really well. They are keen observers every day, constantly monitoring the pace and depth and amount of practice that kids need. Could we do what we do if we had 25 kids in a class? Not to the extent that we do. Not with the day-to-day adjustments we do. No human teacher I’ve met could do it. There’s another layer on top of the academic ­– the social-emotional stuff. Our teachers also know that this kid really loves this; or this kid is having a rough time in his family; or this kid is a perfectionist. If you’d asked me when I was a public school teacher, I would have told you I knew all the kids in my class, but it wasn’t the same. When I came here, I thought with 15 kids this is going to be so easy. I spent so much more time with each kid. I knew them so much better. At the same time I was working so much harder because the adjustments were so much more nuanced. Differentiation was originally devised so teachers could move away from tracking groups of kids. How do we at Seabury avoid having children making comparisons or feeling labeled if they know they’re in a less advanced, math group, for example? Our overall focus is always on everyone getting what they need. We focus on kids’ strengths. After they’ve been here for a little while, they should be very aware of their strengths. This is also one of the reasons it’s important to have gifted kids with other gifted kids. In a class of more typically developing kids, if they find that they’re always picking up on things before everyone else, they don’t get a sense of their strengths – or weaknesses. They either get a sense that everything should be easy and shy away from challenge, or they develop a fear that the first time they don’t know something, there’s something really wrong. We want them to understand that they don’t have to be good at everything, and at the same time help them develop the work ethic and grit that comes from taking on challenges and being confident that the effort is worth it. What else is important to know about differentiating for gifted kids? The vast majority of teachers have zero training in gifted kids. That means that despite their good intentions for our kids, they’re often operating on myths that are just not true. For example, more work is not better work. Rigor is not measured in hours of homework per night and, in fact, more work for the sake of adding work can be detrimental to the growth of gifted kids. Research shows that gifted kids’ achievement goes down with excessive practice beyond what is needed to master the skill they are learning. Gifted kids learn quickly in their areas of giftedness, so need less time practice time to master a skill and more time to apply it in new and more complex ways. 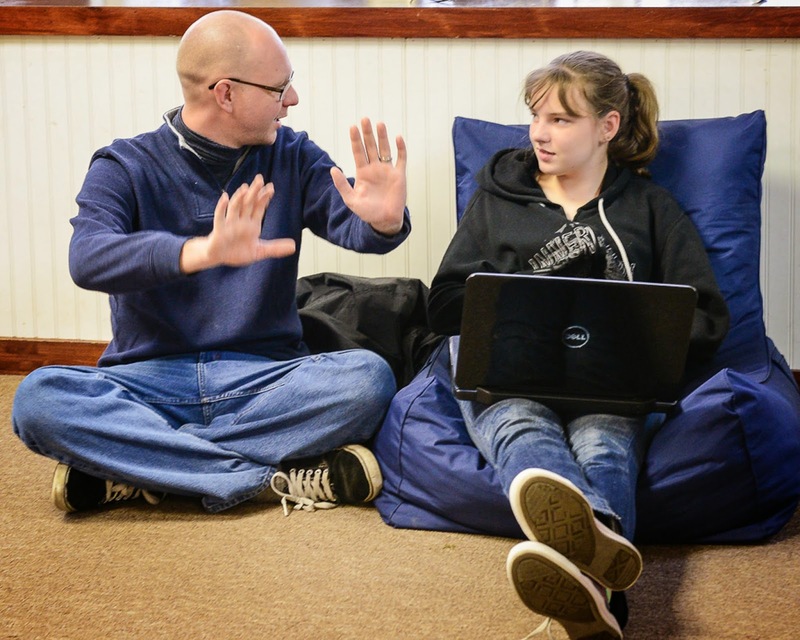 Seabury’s teachers understand gifted kids – how they learn, what the research says about their intellectual, social and emotional development, and how to both support and challenge them. Our approach really goes back to that basic philosophy that EVERY child deserves to learn something new EVERY day. Including gifted kids.